All it would take is one to cause the next global pandemic. Scientists believe there are more than 1.6 million viruses in birds and mammals that we haven’t discovered yet. Approximately half of those viruses could potentially infect and cause illnesses in humans. All it would take is one to unleash the next global pandemic. That’s why a global cooperative, led by researchers at the University of California, Davis, has set out to identify them. In a paper published on Friday, the researchers established their goals for the Global Virome Project, an initiative to identify the unknown viruses lurking on Earth. Beyond finding these elusive zoonotic threats — meaning the viruses are found in animals but could potentially make the leap to humans — the cooperative also envisions putting a stop to them. 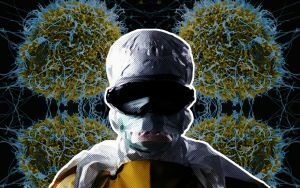 By knowing what we’re up against, humanity could be far better prepared to handle deadly viruses outbreaks across large areas; this project might be the key to preventing the next pandemic. 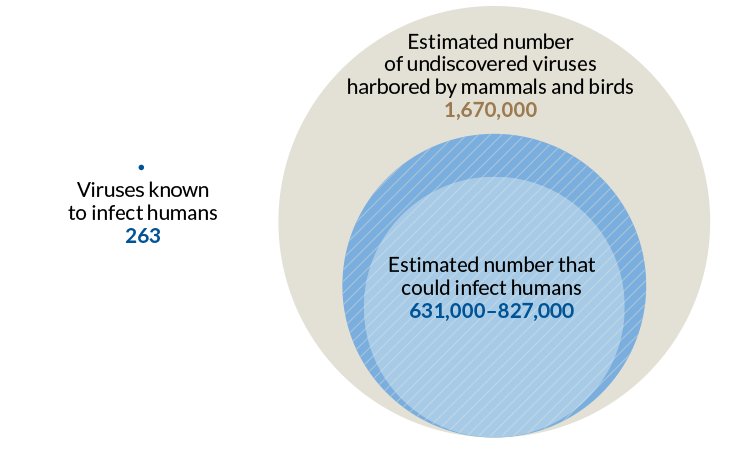 The number of viruses known to infect people is less than 0.1 percent of the total that could potentially do so. Image Credit: D. Carroll et al./Science 2018. Over the next decade, the $1.2 billion Global Virome Project will work to identify about 70 percent of those potential threats. The cooperative plans to build on previous work done by the United States Agency for International Development’s PREDICT program, once of the agency’s four Emerging Pandemic Threats projects. 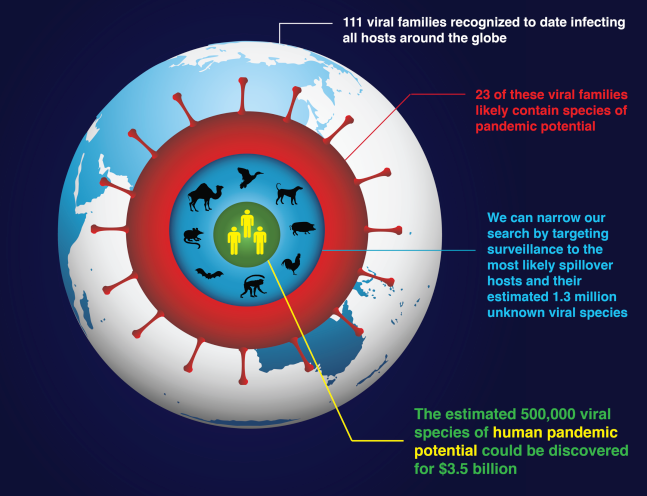 PREDICT has identified more than 1,000 previously unknown viruses… but that accomplishment falls far short of the Global Virome Project’s ambitious goal. The are several key pieces of information researchers need to know about a virus in order to establish its “ecological profile”: where it originates, where it thrives, what — or who — it infects, and how it’s transmitted, to name a few. The sooner the team establish these characteristics, the sooner medical professionals can target people who are at the highest risk of emerging diseases that we don’t even know exist yet. Image Credit: The Global Virome Project. The benefits of preventing outbreaks go far beyond global health, though: as the team points out, preventing an outbreak could cost less than reacting to one. Pandemics are costly to wrangle — not just in terms of lives lost, but their immediate and lasting impact on a nation’s financial circumstances. Prevention, then, is not only an investment in global health — but also in the global economy.